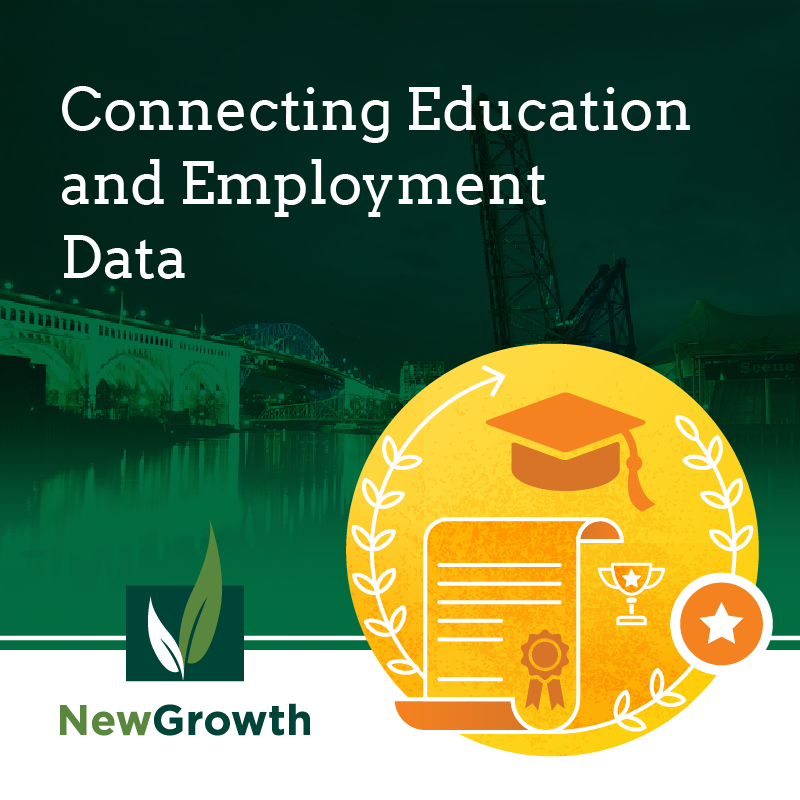 Since being founded in 2010, New Growth has performed evaluations and data analyses for various organizations such as K-12 school districts, post-secondary educational institutions, and non-profits. While the definition of impact differs from project to project, many education or workforce-related evaluations include the tracking of education or employment-related information such as: enrollments, graduation rates, job placements, and job retention. In most cases, the best way to obtain data and track outcomes is to connect directly with administrative data sources that have standardized ways of collecting information. New Growth has vast experience navigating government agencies and institutional research to negotiate data sharing agreements and acquire administrative data, from higher education, to employment and wages, to public benefits. Furthermore, New Growth has successfully linked these datasets together to show program impact. The Department of Labor TAACCCT (Trade Adjustment Assistance Community College Career Training) program has awarded grants to community colleges across the country. These grants allow institutions to expand and improve their ability to deliver education and career training programs that can be completed in two years or less and prepare program participants for employment in high-wage, high-skill occupations. New Growth has evaluated nine TAACCCT grants, all of which have required data collection to track education and employment outcomes. 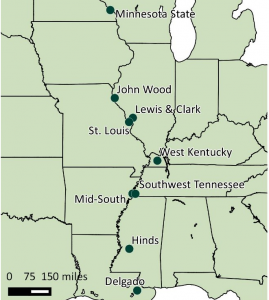 One TAACCCT grant New Growth evaluated, the Mississippi River Transportation, Distribution, and Logistics consortium (MRTDL), consisted of nine community colleges which were awarded a TAACCCT grant to train workers for jobs in Transportation, Distribution, and Logistics from 2014 to 2017. This project required the collection and analysis of student data from college enrollment through job retention. New Growth was successfully able to complete data sharing agreements with each of the nine schools and access individualized student data. For most states, New Growth was also able to collect state employment and wage data and connect educational data from the community college with quarterly wage information. Some agencies were willing to give individualized employment data directly to New Growth. Some agencies would share individualized data if it was given directly to the community college involved with the grant. Some agencies would not share individualized employment data but would share aggregate data. Some agencies would not share data, period. The above situations are the most common occurrences New Growth encountered. Every state has a unique procedure for sharing data for various situations. Furthermore, various initiatives (such as the Workforce Data Quality Campaign) have provided an incentive for states to update their databases to allow for alignment between various data sources. New Growth’s evaluation and analytics team has legal counsel on staff which has proven invaluable in the data collection process with state wage agencies and educational institutions. The legal team has expertise in navigating data transfer and integrity issues, as well as the negotiation of data sharing agreements. Also, for situations involving informed consent prior to receiving the data, New Growth can assist in developing the appropriate language. Having a person who speaks the legal language has proven essential to the data acquisition process. Contact us to learn more how New Growth can help you connect data sources.